Three teenagers sharing a mystical bond in a YA book isn’t abnormal. In fact, some would say it’s downright cliché. What isn’t cliché is how the bond isn’t romantic. At least, it’s not romantic in terms of a love triangle featuring two boys fighting over one girl. In fact, the boys are much more interested in each other than the new girl. Okay, so I have to be honest. 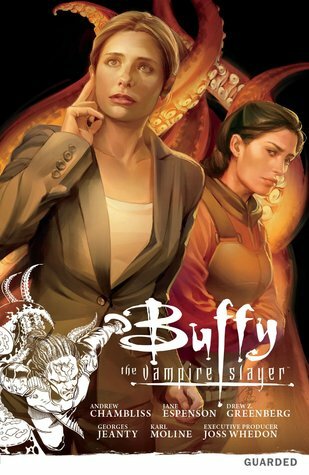 I was intrigued by this book not because of the main synopsis, but because of the LGBT characters plus the sci-fi element. Too often in YA, LGBT characters are relegated to contemporary stories only, and I’m not here for it. I want some SFF diversity. So when I started this one, I wasn’t totally sure what I was getting into. And by the end of it, I was just like “Huh?” and “What in the world did I just read?” And not necessarily in a good way. The plot of this book starts out weirdly, but the characters are what lead the story. Court is kind of a more emotional Kaz Brekker. Mykal is… well, he’s Mykal. I don’t know of very many characters like him. He’s a gruff, simple, outdoorsy dude. He’s like a younger, hotter Ron Swanson on an ice planet. And Franny is pretty simple in terms of lifestyle as well. She does what she wants. She’s unique, but she’s got a little Tris and/or Katniss in her. These characters’ backgrounds are fascinating, but—and this is a big BUT—those backgrounds could have been explored way more than they were. All three of the characters’ backstories were just summed over like they didn’t really matter. This was very frustrating. I don’t like it when readers don’t get the emotional impact from a previous event and instead are just told a very summed up, quickie version. This problem transferred over into plot as well. Any time something remotely interesting happen plot-wise, two pages later, it would be wrapped up. Any fight or conversation took two seconds to fix. There was just a lot of showing and not a lot of telling. Everything was summed up instead of slowed down for dramatic effect, including relationship dynamics. This made the subplots dull, and it lessened the impact of the primary plot. Also, a lot of crying happened in this one. I was a little confused as to why the characters’ emotions were all over the place. Okay, so those are the negatives. There are quite a few. However, I was sucked in about 15% of the way in, so the beginning is good. The middle is where things get hard to wade through, and then the ending, the very end, is where things pick up. 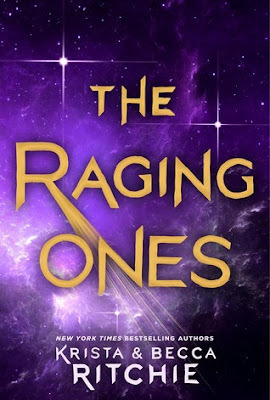 The Raging Ones finally turned into the space story I was promised. Now, I want to see what happens in book two. I’m not dying to know, but I am curious. All in all, this book could have been The Hunger Games meets The 100 (in space!) with its own super unique twist, instead, it went a totally different direction and kind of just floundered there. The relationships were meh and the plot was too summarized 90% of the time. I’d suggest going into this one with caution. *Note: I received an ARC of this book from the publisher via NetGalley. This in no way affected my opinion/review. A fantasy book about magical kisses? Sounds like a cliché Sleeping Beauty, right? WRONG. Okay, yes, there is some cheese to this book, but boy was it good cheese. 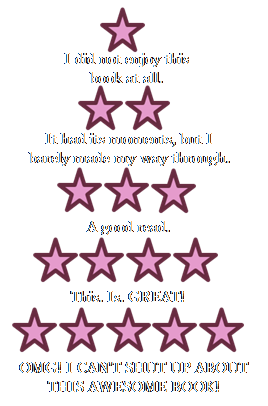 I went into this one expecting a light, quick-paced YA fantasy read, and that’s 100% what I got. 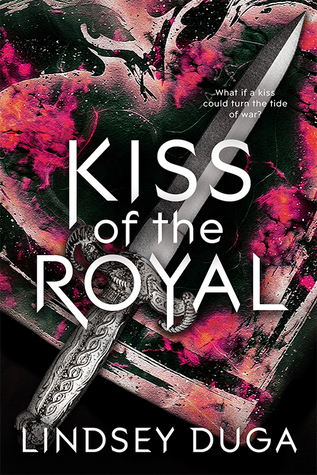 Ivy is a Royal, which means she has a magical kiss. Okay, so at first I was very put off by the kissing aspect. I think I forgot between reading the synopsis and requesting this book for review on NetGalley that power smooching was a thing. 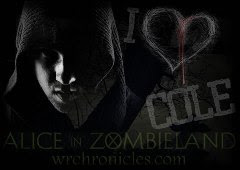 However, after I got used to the idea, I picked the ebook back up, and I was hooked. Ivy meets Zach, an unconventional Royal and wants to partner with him so they can be the most powerful couple in the world. Mwahaha. No, I’m kidding. Ivy just wants to save her people from the Evil Queen and her evil creatures. Honestly, Ivy and Zach’s dynamic was so entertaining. I loved it. Zach is kind of a dreamy goofball/bad boy combined. It was sad, though, that some of their romantic tension fizzled out a little towards the end of the book. But that’s how most YA romances go as they progress. As for the plot of the story, it was fun. Various dwarves, griffins, and mythical creatures that typically aren’t depicted as evil and menacing was a cool concept. The only I problem I saw with the plot was how a certain character’s introduction and mysterious secrets were rather predictable, but even then, I couldn’t guess the major details. 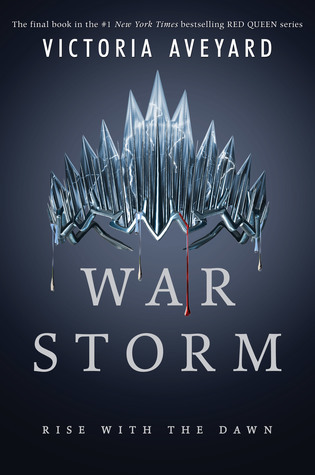 All in all, if you’re looking for a book to give you a rest between all those giant fantasy sequels like Reaper at the Gates, War Storm, etc., Kiss of the Royal is probably perfect for you. It’s easy-to-swallow fantasy that has a swoon-worthy love interest and a unique, if awkward, magic system. *Note: I received a copy of this book from the publisher to review via NetGalley. This in no way affected my opinion/review. Well, the first half of the year is officially over and we are now in the midst of summer. 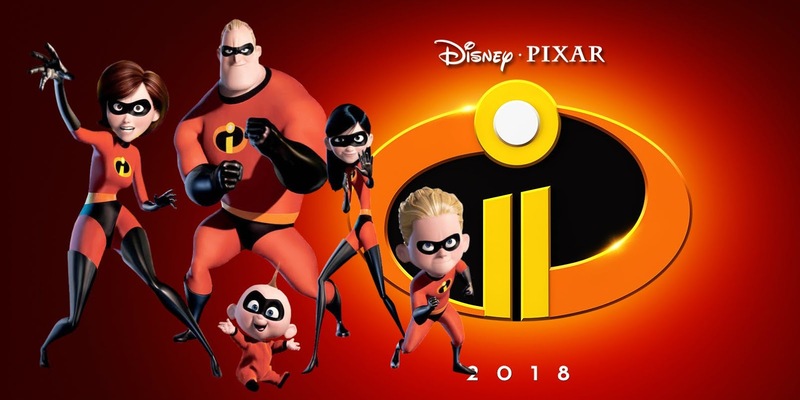 I can’t believe we’re only six full months away from 2019. Craziness. 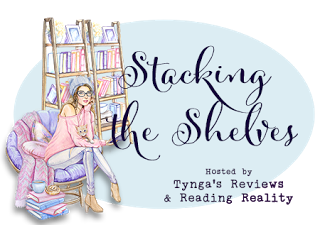 But, anywho, it’s time for June’s wrap-up. June was a really good book month, so I’m excited to share all the things I read, bought, and got over the past thirty days. Like with last month, I’m surprised by how much I read. Not only that, but I read things I’ve been wanting to get off my TBR for oh-so-very-long. 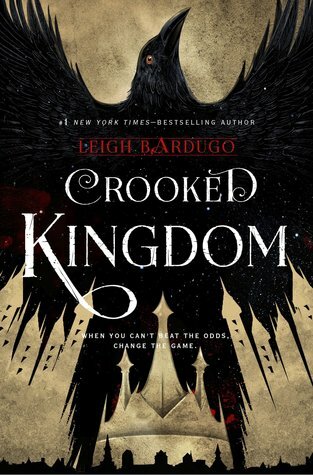 Such as Crooked Kingdom and the reread of Exquisite Captive. I’m actually excited now to pick up some of my backlist TBR books, so I think I’m going to hold off on the amount of book-buying I’ve been doing lately. Although, most of the books I acquire tend to come to me freely, so I’ll still be adding to that giant TBR stack. Ugh. I only bought six books this month. Three of which were special circumstances and one of which is not getting to me until August. Boo. Warcross and Smoke in the Sun were purchased during the Penguin Teen signing I attended, and Royals during BookCon. I bought Allied randomly during my lunch hour when I went to visit The Strand. It was only $9. I also got an ebook of Running With Lions, and I preordered Maas’s Catwoman book, the UK edition, from the Book Depository. Unfortunately, Book Depo already charged me for it, even though I won’t be getting the actual book until August. There were so many free books this month. Some were from BookCon, some were from work, and one was from my roommate’s work. Basically, my TBR pile is a giant catastrophe right now. So I said earlier this year that any BookCon purchases would not count towards my book budget status. That means Royals is not being added to this grand total. However, all of the rest of these books equal to $68.47. Unfortunately, I overspent last month, which meant my normal $75/month budget went down to $68 for the month of June. This means I went over the budget by a whopping $0.47. Now, I can only spend $74 and some change during the month of July. I’m hoping, though, that I don’t buy any books except two I’ve been planning to get: the UK editions of Now I Rise and Bright We Burn by Kiersten White. I want to read some of the books I own before I buy more. We’ll see if I stick to the no-buying issue. I don’t really think I will, but I’m not enforcing the ban. As long as I’m below $74 when July is over, I can’t complain too much. The beginning of June was a very busy time. 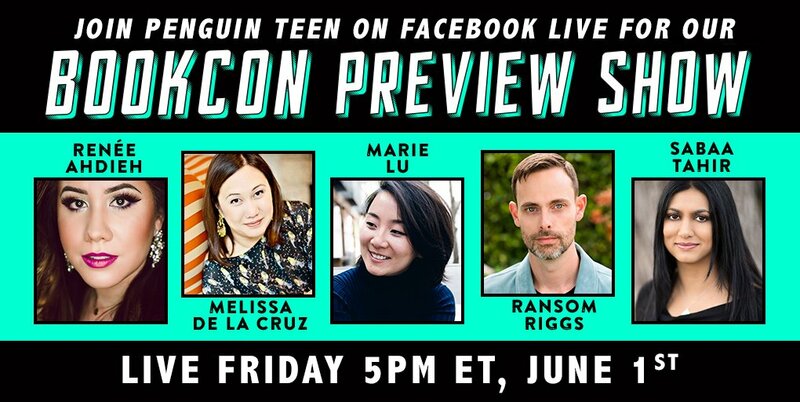 First, was the June 1st Penguin Teen signing where I met Renee Ahdieh and Marie Lu for the first time. 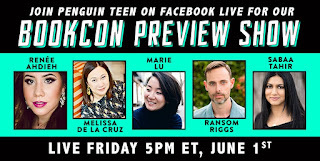 Then, there was BookCon on July 2nd and 3rd. That was craziness in and of itself. And the last, non-book-related event actually happened towards the very end of the month. 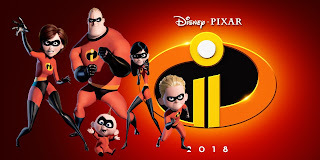 I finally saw The Incredibles II. I should have a movie review up for this one sometime soon. 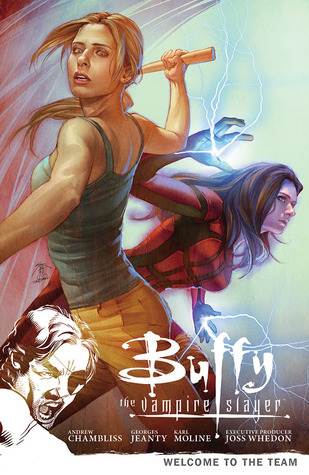 Well, I’ve finally moved on from my Buffy phase, even though I would still like to read the comics. 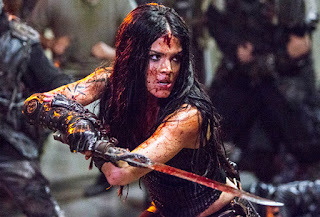 I’m just not devouring fanfiction like I was, nor am I re-watching the episodes. I’m also dying down a little on the Game of Thrones fanfiction and video-watching. It’s still there, but the urge isn’t as strong as it was during the month of May and beginning of June. Right now, I’m super obsessed with two things: Jason Todd and Animal Kingdom season three. For Jason Todd, I’ve been reading fanfiction. For Animal Kingdom, I’ve been obsessively thinking about the current season and wishing all of the episodes were out already so I can know what’s going to happen. 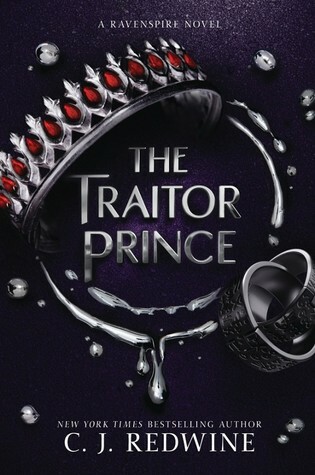 As of today, I’m currently trying to finish The Traitor Prince by C.J. Redwine. It just started to pick up around page 120, so I’m thinking I should be able to finish it this weekend. I also started Wild Hunger by Chloe Neil, since it’s a review copy I received from NetGalley. 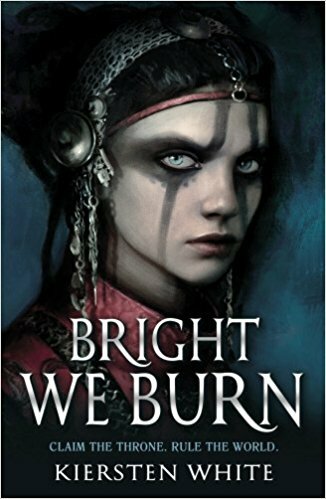 During the month of July, I’d like to read Blood Passage and Freedom’s Slave, and I know I’m going to read Bright We Burn. Other than those, I’m hoping to keep my TBR pretty open. There’s only one event I know of that I’ll be “attending” in July. That’s right. 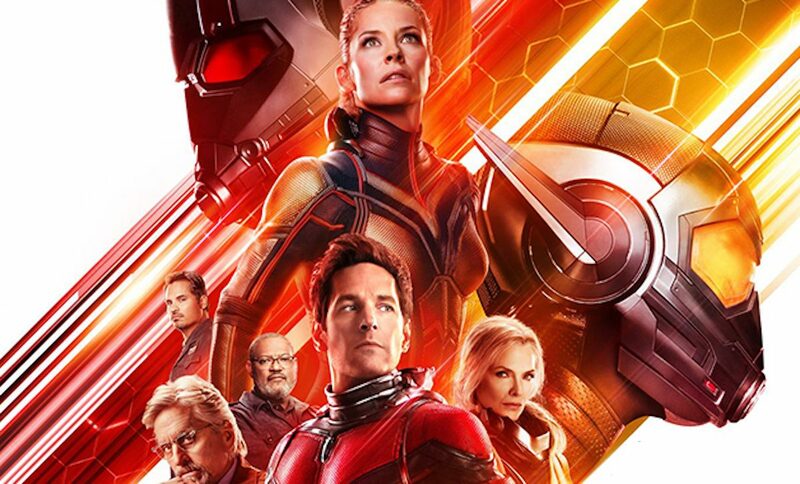 I’m 75% certain that I’ll go see Ant-Man and the Wasp. However, I think I’m just going to see this one by myself, simply because it’s not a movie that’s worth the hassle of trying to find someone to go with me. I just want to get in and get out and not make a big deal of it. Does that make sense? So yeah, other than that movie, I’m doing zilch. My roommates will be going to San Diego Comic Con, but I’m too cheap for such endeavors. I’m actually pretty excited to have the apartment to myself for a few days, though. 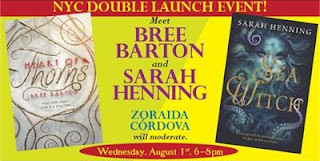 Okay, well, that’s the month of June, plus some July sneak peeks, all wrapped up into one post. Do you have a wrap-up post for this month? If so, share in the comments! So, it’s actually been a really good book week. I finished three books, and, as you’ll see in this post, I acquired way more than I’ll be able to read in the entire month of July. But that’s the life of a book hoarder. As for my life in general, I’m in kind of a slump. A life slump. Not a book slump. I’m reading all the things. I’m actually pretty proud of not only the amount of books I’ve read this month, but with the titles I’ve read this month as well. I’ll talk about that more in my wrap up (which should go up on Sunday, but no promises). Basically, I just don’t want to do anything but watch Netflix and read. I feel like a giant blob. I don’t even feel like going to the gym or blogging. That’s why I didn’t post anything this past Tuesday, Wednesday, and Thursday. I’m hoping that, with a few days of rest, I’ll want to get back in the groove of things, but, only time will tell. Oh, I also found out that my office has/had bed bugs. Apparently a couple were spotted on my floor, and no one thought to email the second floor that the critters were there. The building managerial people brought in people to take care of it before I knew it had happened, but I’m so paranoid and grossed out right now. Ick. So Vicious and City of Lies were books I asked a work friend to send me. So, thanks work friend! The Love Interest was part of my office’s Pride month book giveaway. They gave away different LGBTQ+ books, and this is the one I grabbed. As for Allied, I bought it at The Strand for $9. Its purchase made me go over my budget by like forty cents. So the first four listed were all on my work’s Take Shelves. I was so excited to see some new hardcover books there. Caraval and Legendary were in a recycling bin full of ARCs, so I nabbed them, since I don’t have copies and everyone tells me I should read Caraval. What?! 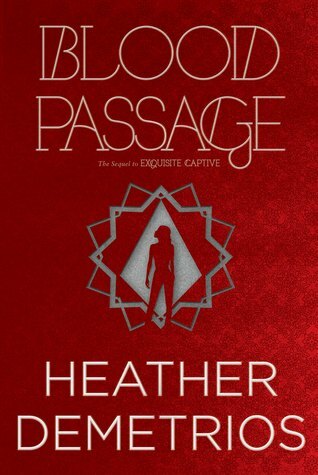 Blood Passage, the library edition, is on another one of my Stacking the Shelves. How surprising! Not. But this time, I’m actually going to read it. 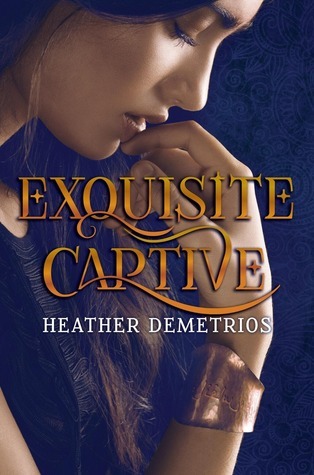 I checked it out of the library again because I’m actually almost done re-reading Exquisite Captive, and I wanted to dive right in to book two without forgetting any major details. 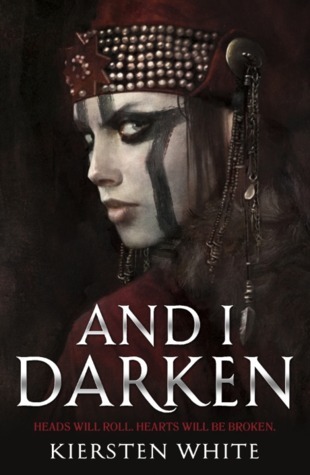 As for Now I Rise, I finished And I Darken earlier this month and LOVED IT! 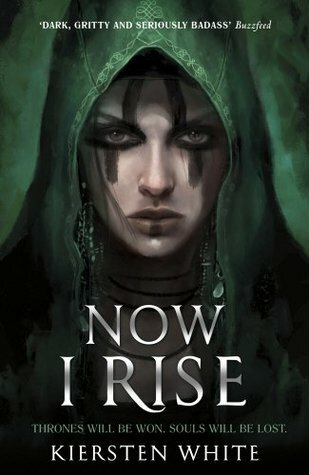 I couldn’t wait to buy my own copy of Now I Rise in July (because my book budget balance was too low to get it in June), so I just borrowed it from the library. Expect to see purchased copies of Now I Rise and Bright We Burn in a future book haul.